WASHINGTON, D.C. — The Online News Association, the world’s largest membership organization of digital journalists, announces the closing keynote for the 2016 Online News Association Conference, a candid look into the creation and unknown fate of the unique social newswire reported.ly, featuring founding editor Andy Carvin and his team. Joining in conversation with Andy, who serves as reported.ly’s Editor-In-Chief, are Deputy Managing Editor — and ONA Board member — P. Kim Bui; Anchor/Reporter Wendy Carrillo; Anchor/Producer Asteris Masouras, and Social Journalist Marina Petrillo. On Sept. 17, they will sit down with moderator Mathew Ingram, Senior Writer at Fortune, for an inside look into how they created an innovative social news operation with a small team, and next steps as they part ways with First Look Media. WASHINGTON, D.C. — The Online News Association, the world’s largest membership organization of digital journalists, announces the opening keynote for the 2016 Online News Association Conference, a fireside chat with Fidji Simo, Facebook’s Director of Product, and Samantha Barry, Senior Director of Social News at CNN. Fidji and Samantha will join more than 2,000 attendees Thursday, Sept. 15, at ONA16 in Denver for a candid look into product development at one of the world’s largest and best-known tech companies and how their products impact media. The conversation will focus on the new opportunities — and challenges — for publishers based on the new features and products that Facebook has released in the past 16 months. Facebook is the largest multimedia platform on the planet, with more than one billion users per day. In 2016 alone, the company introduced Facebook Live, opened up Instant Articles to newsrooms of all sizes and made adjustments to the Facebook algorithm that impact publishers. Fidji and Samantha will discuss each of these updates, as well as how each decision Facebook makes now has an even more profound effect on news publishers and how communities receive and interact with news. Fidji Simo is a Director of Product who leads the product teams in charge of Media (Video, News, Influencers) and Advertising in News Feed. Most recently, she launched Live videos, videos and video ads that autoplay in News Feed, and Instant Articles. She was also in charge of simplifying Facebook’s ad product suite from 27 ad formats to only seven. Fidji joined Facebook from eBay. There, she was part of the Strategy group and rotated through eBay’s main offices of France, Spain and the U.S., then joined eBay’s incubation team to develop new growth businesses. She holds a Master of Management from HEC Paris and spent the last year of her Master program at UCLA Anderson School of Business. Samantha Barry serves as CNN’s head of social media and senior director of social news, managing the company’s global social media teams. Her teams span social publishing, news-gathering, digital and TV and are responsible for the largest social accounts of any news brand in the world. The path from Ireland to the United States has been a global one for Samantha, who, after stints in RTE and Newstalk, traveled the world working for ABC Australia and the U.S. State Department, training young journalists in creating content for social media platforms, before taking a role at BBC World News in London. Samantha is also currently a Sulzberger Fellow at Columbia University and a guest lecturer at Yale. Register now to join us for this important conversation at ONA16, which will bring together journalists, technologists, educators and students in Denver for three days of programming exploring the most forward-thinking trends in the news industry. ONA members save more than $300 off of the cost of registration and ONA offers discounts on groups of 10 or more. The Online News Association is the world’s largest association of digital journalists. ONA’s mission is to inspire innovation and excellence among journalists to better serve the public. The membership includes news writers, producers, designers, editors, bloggers, developers, photographers, educators, students and others who produce news for and support digital delivery systems. ONA hosts the annual Online News Association conference and administers the Online Journalism Awards. We’re excited to announce our opening keynote for ONA16: A rare, candid and fascinating look into product development at one of the world’s largest and best-known tech companies. On Thursday, Sept. 15, attendees are invited to a fireside chat with Fidji Simo, Facebook’s Director of Product and CNN’s Senior Director of Social News Samantha Barry, an incisive leader whose background ranges from training journalists around the world on creating social content for various platforms to making strategic decisions about when and how to use Facebook to support CNN’s news coverage. Facebook is the largest multimedia platform on the planet, with more than one billion users per day. Its reach alone makes the company’s influence on digital news and content distribution difficult to overstate. Add to that an astonishing number of features and products released over the last 16 months, all of which introduced fascinating news opportunities for publishers. While the potential reach of these products is groundbreaking, each major decision Facebook makes now has a profound impact on how communities receive and interact with news — and not every decision favors news publishers. Facebook Live, essentially a live streaming platform for mobile phones, was launched. While its core is similar in functionality to Meerkat and Periscope, the sheer size of Facebook’s audience made it instant competition. The launch also included a map to explore public broadcasts happening around the world. An adjustment to the algorithm powering News Feed promotes updates from friends and family over publishers’ content. The company shut down Paper, its eye-catching news-reading app. Instant Articles, a product designed to host media content and make articles load faster and appear more fully integrated into News Feed’s design, is made available to all publishers. Our conversation will touch on all things product, allowing ONA16 attendees to gain critical insights into how decisions are made. We’ll also discuss how Facebook continues to evolve its offerings and the impact those choices will have on publishers. Fidji Simo is a Director of Product who leads the product teams in charge of Media (Video, News, Influencers) and Advertising in News Feed. Most recently, she launched Live videos, videos and video ads that autoplay in News Feed, and Instant Articles. She was also in charge of simplifying Facebook’s ad product suite from 27 ad formats to only 7. Fidji joined Facebook from eBay. 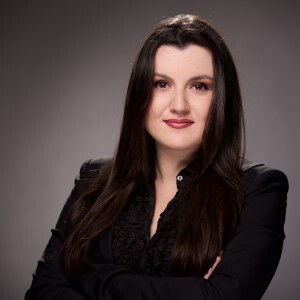 There, she was part of the Strategy group and rotated through eBay’s main offices of France, Spain and the US, then joined eBay’s incubation team to develop new growth businesses. She holds a Master of Management from HEC Paris and spent the last year of her Master program at UCLA Anderson School of Business. 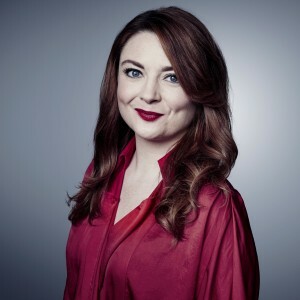 Samantha Barry serves as CNN’s head of social media and senior director of social news, managing the company’s global social media teams. Her teams span social publishing, news-gathering, digital and TV and are responsible for the largest social accounts of any news brand in the world. The path from Ireland to the US has been a global one for Samantha, who, after stints in RTE and Newstalk, travelled the world working for ABC Australia and the US State Department, training young journalists in creating content for social media platforms, before taking a role at BBC World News in London. Samantha is also currently a Sulzberger Fellow at Columbia University and a guest-lecturer at Yale. Get ready for the ONA16 Unconference! Let’s get ready to uncon! Every year, some of the smartest people in digital journalism gather at the Online News Association’s annual conference. And every year since 2009, we have given those people the chance to take the conference into their own hands with the unconference. So, what IS the unconference? Easy: Attendees get the chance to pitch what they think should be a part of this year’s discussion. Maybe we’ll sit in a circle and talk about what we love besides journalism. Maybe we’ll consider how design thinking applies to our daily tasks. Maybe we’ll just get to meet the people we follow on Twitter. That’s the beauty of the unconference: It can be anything we want it to be. So how does it work? You (yes, you) can start pitching your session ideas on Thursday, Aug. 18 on our Tumblr site. Keep the pitches coming through the first day of the conference, Thursday, Sept. 15. We’ll post all the pitches we receive on this site. On Friday, Sept. 16, you’ll see Team Uncon roaming the conference corridors, asking you to vote (please vote!). We’ll then tally the votes on Friday night and announce which sessions will be included on Saturday, Sept. 16. A couple caveats: The opportunity to lead a session is intended for people who are already attending the conference. They’re also meant to be about journalism, not a platform for companies to sell their products. Beyond that, the rules are up to you. Do you want to host a workshop? Do you want to put together your dream panel? Do you want to take a break and not think about “the future of journalism” for an hour? Let’s do it. Let’s uncon. Any questions? Contact us at onaunconference@gmail.com. Jessica Estepa is a Senior Digital Producer at National Geographic Partners. She has been involved with ONA since 2009, starting with the student newsroom and now as the team captain of the unconference track for the past six years and as an organizer of the #ONADC chapter. A recovering congressional and federal government reporter, she likes waffles and news. DENVER – Sept. 15, 2016 – The Online News Association announced today that it will join with the Google News Lab and the John S. and James L. Knight Foundation to help newsrooms experiment with and advance the field of immersive storytelling. Voting for the 2017 Board of Directors for the Online News Association is open Sept. 13-30. ONA members in good standing as of Sept. 12 can help shape the future of the the world’s largest digital journalism organization with your vote. To vote, members can head over to ONA’s member center to access their credentials for the voting platform. Members will see their credentials as soon as they log in. Voting will close Sept. 30 and winners will be announced in October. All 18 candidates will be in attendance at the 2016 Online News Association Conference in Denver and will share their thoughts on digital journalism during the Story, Platform and Design: Digital Journalism Insights + VIP Meetup, on Thursday, Sept. 15 at 4 p.m. MT. We’ll be live-streaming the event and archiving video for those who can’t attend. Send your questions in advance using #onaelects. WASHINGTON, DC — The Online News Association, the world’s largest organization of digital journalists, is pleased to announce that ONA Deputy Director Irving Washington, CAE, will succeed Jane McDonnell as Executive Director, effective Jan. 1, 2017. In his current role, Irving serves as a key contributor to short- and long-term planning and strategy, responsible for operations and programming. Since joining ONA in 2011, he has managed ONA’s highest-profile initiatives, including the $1M Challenge Fund for Innovation in Journalism Education, served as point person for all logistics for ONA’s annual conference and has grown the organization’s critical diversity and professional development programs. Smoking, eating, vaping — hell, even drinking — marijuana is totally within your rights in Colorado. But this cowboy state employs more than the code of the West when it comes to the industry and its users. Read over these basic rules, and our words of advice, before making your trip to Denver for the conference. Plan to visit a dispensary even you’re not interested in purchasing or partaking. It’s a cultural novelty and a historical moment that’s worth seeing for yourself. This post is sponsored by the Pew Research Center. Stop by the Pew space on the Midway during Thursday Office Hours from 2-3 p.m. They will be discussing the defining traits of the modern news consumer in today’s complex and digital news environment, as well as their 2016 state of the news media report. I’m excited. You’re excited. ONA16 is an exciting time! Our annual gathering represents the culmination of months of work from our staff and Program Team to bring you meaty conversations to dig into, and fresh ideas to bring back to your newsrooms. Since there are so many concurrent sessions at ONA16, we’re often asked to guide people on the “can’t-miss” sessions of the conference. It’s a bit like asking someone to pick out the most colorful fish in a reef tank — a subjective choice in a sea of wonder — but here are a few of my favorites, and I’d encourage you to check them out. This post is sponsored by Acusense. Having seen this year’s conference come together from start to finish, I’m awed by the ideas and thought that went into the planning process. It’s a fantastic schedule. Below are the sessions I’m most looking forward to. Track me down in Denver and let me know what you think. See you there.